Publisher: [United States]: Warner Bros., 2014. Characteristics: 1 online resource (1 audio file (53 min.)) :,digital. Art Official Age is THE MOST COMPLETE album that I have listened to for 2 years straight. It is so smooth and delicious. Can't get enough! 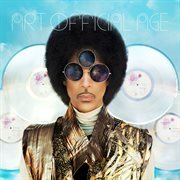 Really enjoying Prince's newest album! Recommend Highly!